Recently, Slidelogy Hyper Booster Capacitor is popular in Hong Kong RC group. Many people discussed the performance of this little stuff. Let’s check out the reason now! 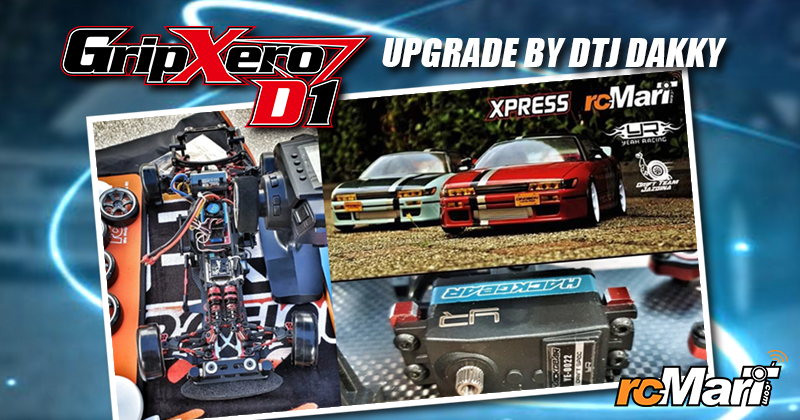 rcMart Technicians – Faye Chai had brought the Slidelogy Hyper Booster Capacitor to a racing circuit and testing the performance about this power stuff. He had recorded a short video to show us how well of it. Check out it now! Why? Why the Slidelogy Hyper Booster Capacitor is popular in Hong Kong RC group? It is because one group member had used this stuff on the track and the performance of the car had been improved. Many people ask him about the Slidelogy Hyper Booster Capacitor, so he posted the review about this parts on Hong Kong one RC group. It told people the Hyper Booster Capacitor had purchased on rcMart. After the post released, many people had replied and want to buy it. The Following photo is the post what posted on Hong Kong RC group. These racers purchased this stuff on rcMart after they saw the review about it. All post owner announced that they purchased the Slidelogy Hyper Booster Capacitor and shared the feeling after the test drive. They said that will purchase more in the future. Let experience the performance of this powerful Hyper Booster Capacitor. Super capacitor with specs matched perfectly for high powered brushless systems. This capacitor helps deal with voltage sag during hard acceleration, with very low internal resistance the charge/discharge rate is very high making it perfect for touring car or drifters! The maximum voltage which this cap can take is 9v, making it able to help with voltage spikes or use with HV batteries!